Friday night’s M-1 Challenge: Bennett vs. Garner event from The Hangar in Costa Mesa, Calif. captured the attention of the crowd and those tuning in to the live telecast on SHOWTIME as fighter after fighter went down in a violent display of successive knockouts. With four out of the five televised bouts ending in dramatic fashion, Europe’s leading MMA promotion awarded two Knockout of the Night awards: the first going to middleweight warrior Arthur Guseinov and his spinning back-fist win over Tyson Jeffries while the second goes to sensational lightweight striker Mairbek Taisumov, who issued a statement-making US arrival with a devastating KO over Josh Bacallao. The Hangar At OC Fair & Event Center In Orange County, Calif.
Costa Mesa, Calif. (July 8, 2011) – All but one bout in Friday night’s M-1 Challenge event from The Hangar at OC Fair & Event Center in Orange County, Calif. ends via knock-out. The five-fight telecast aired LIVE on SHOWTIME®. The main event featuring the rematch between the 2010 M-1 Selection Americas Tournament heavyweight finalists Pat Bennett (4-2), of Marcellus, N.Y., and Kenny ‘Deuce’ Garner (6-3), of Port St. Lucie, Fla. ended in fireworks; Garner captured his second knock-out victory over Bennett, securing another shot against M-1’s current champion, undefeated Guram Gugenishvili, on a future card this year. From The Hangar At OC Fair & Event Center In Orange County, Calif.
Costa Mesa, Calif. (July 7, 2011) – All 10 fighters competing in tomorrow/Friday’s M-1 Challenge event at The Hangar at OC Fair & Event Center in Orange County, Calif., weighed in on Thursday at Hooters in Costa Mesa. Friday’s five-fight telecast will air LIVE on SHOWTIME® at 11 p.m. ET/PT (delayed on the West Coast). The main event will feature a rematch between the 2010 M-1 Selection Americas Tournament heavyweight finalists Pat Bennett (4-2), of Marcellus, N.Y., and Kenny ‘Deuce’ Garner (6-3), of Port St. Lucie, Fla. Garner won the first bout in September of 2010 via first round TKO (punches). Costa Mesa, Calif. (July 5, 2011)–M-1 GLOBAL’s sophomore U.S. outing packs depth. The mixed martial arts (MMA) event titled M-1 Challenge: Bennett vs. Garner takes place from The Hangar in Costa Mesa, California and airs LIVE on SHOWTIME on Friday, July 8 at 11 p.m. ET/PT (Delayed on the West Coast). If styles make fights then mark down the middleweight battle between fierce Russian striker Arthur Guseinov and 2010 M-1Selections Americas tournament winner Tyson ‘The Anti-Hero’ Jeffries as one you don’t want to miss on M-1 Global’s sophomore outing on SHOWTIME®; capture the full M-1 Challenge: Bennett vs. Garner card from The Hangar LIVE Friday, July 8 at 11 p.m. ET/PT (Delayed on the West Coast). Jeffries’s last outing was one he would like to soon forget, enduring a round-and-a-half of pure punishment from newly crowned Middleweight Champion Magomed ‘The White Wolf’ Sultanakhmedov as his title dreams quickly turned into a nightmare. The Oregon native and Team Quest fighter has done all he can to prepare himself this time out, calling in some favours to train with Rampage in Las Vegas and at the Wolfslair MMA Academy in England; under the tutelage of some of the sport’s greats, Jeffries is be ready to draw first blood on his opponent. Standing under the headline bout spotlights at M-1 Challenge XXVI opposite decorated American wrestler, Pat Bennett, is none other than self-marketing machine, Kenny ‘Deuce’ Garner; with Garner getting the best of Bennett nearly a year ago in their M-1 Selection Americas tournament final, the New Jersey native and Team Bombsquad fighter will need to deliver a career performance to stop the heavy-striking freight train headed directly in his path. The action goes down from The Hangar in Costa Mesa, California, LIVE on SHOWTIME on Friday, July 8 at 11 p.m. ET/PT (Delayed on the West Coast). 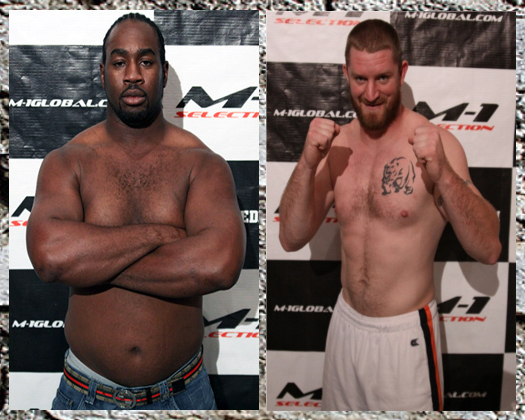 NEW YORK (June 14, 2011) – M-1 GLOBAL announced today an upcoming mixed martial arts (MMA) event titled M-1 Challenge: Bennett vs. Garner featuring the rematch between the 2010 M-1 Selection Americas Tournament heavyweight finalists Pat Bennett (4-2) and Kenny ‘Deuce’ Garner (6-3). The bouts from The Hangar in Costa Mesa, California will air LIVE on SHOWTIME on Friday, July 8 at 11 p.m. ET/PT (Delayed on the West Coast). New York, NY (June 6, 2011) Saturday June 4th 2011 M-1 Ukraine European Battle took place from the National Circus Arena in Kiev, Ukraine. Top M-1 Challenge contenders and prospects competed with the intent to impress the attending M-1 Executives in hopes of earning a contract with Europe’s leading mixed martial arts promotion (MMA). In the night’s main event, Yasubey Enomoto was able to show stellar defense and ample offense from his back in defeating former M-1 Challenge Middleweight Champion, Rafal Moks. Over the course of three rounds, Moks was able to seemingly take the Sengoku veteran down at will, but it was on the canvas where Enomoto was able to employ his rubber-guard and control the action. Enomoto was able to mount offense from his back while stopping Moks easily. For his effort, Enomoto was awarded the majority decision win from the judges. New York, NY (June 3, 2011) With the scale packed away and all bouts confirmed for Saturday June 4th’s M-1 Ukraine European Battle, top M-1 Challenge contenders and prospects are ready to tear apart the canvas in hopes to clamor up the contention ladder or impress the attending M-1 Executives in hopes of earning a contract with Europe’s leading mixed martial arts promotion (MMA). Fans worldwide can watch the action from the National Circus Arena in Kiev, Ukraine via LIVEstreaming telecast on the official M-1 Global website (www.M-1Global.com) and M-1 Global facebook fan page starting at 11:00am EST / 8:00am PST. Bellator 44 comes to Atlantic City, NJ.